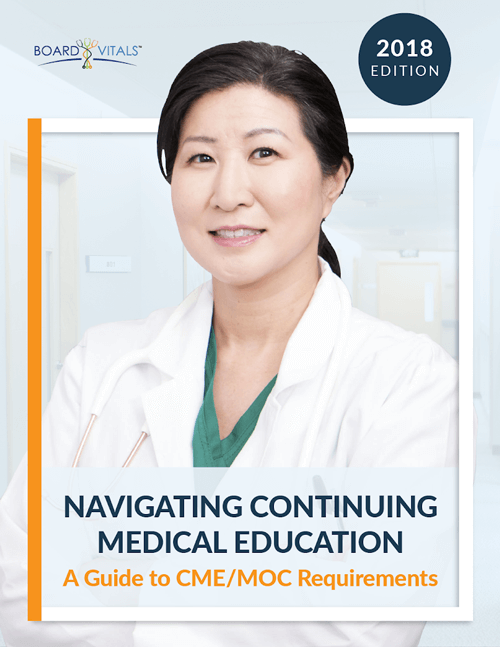 The holidays don’t necessarily mean shorter hours for physicians and other staff. People still get sick, still need surgery, and still arrive at the emergency room needing rapid care and life-saving treatments. Sometimes it’s necessary to bring the holidays to the hospital to enjoy them at all. That’s where decorations come in. 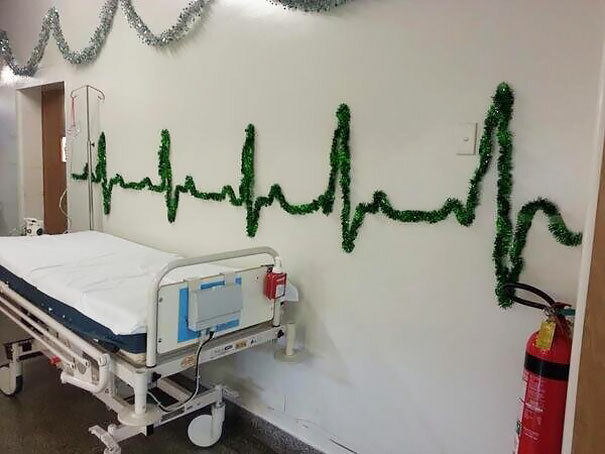 Some hospitals have banned them, others are still allowed to be festive, and quite creative. Here are some of the best holiday decorations that are creative and in some instances, quite clinical. Skeleton Models: Who can resist dressing up a skeleton model with garland and a Santa hat? It might be best left in the doctor’s lounge, but medical humor is medical humor! 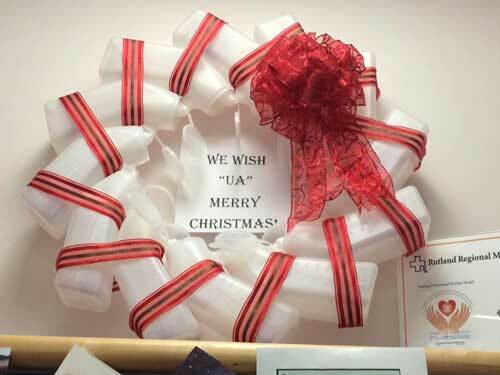 Wreaths: Some creative soul at Rutland Regional Hospital in Vermont made a wreath out of plastic urinal bottles. Wrapped together in red ribbon and topped with a bow, they were actually quite festive. Trees: If you decorate artificial Christmas trees with hospital supplies be prepared for laughter as well as criticism. While scissors, empty ICU propofol bottles, johnnies, masks and surgical gloves are funny tree decorations, you know sooner or later someone is going to criticize you for wasting supplies and money. 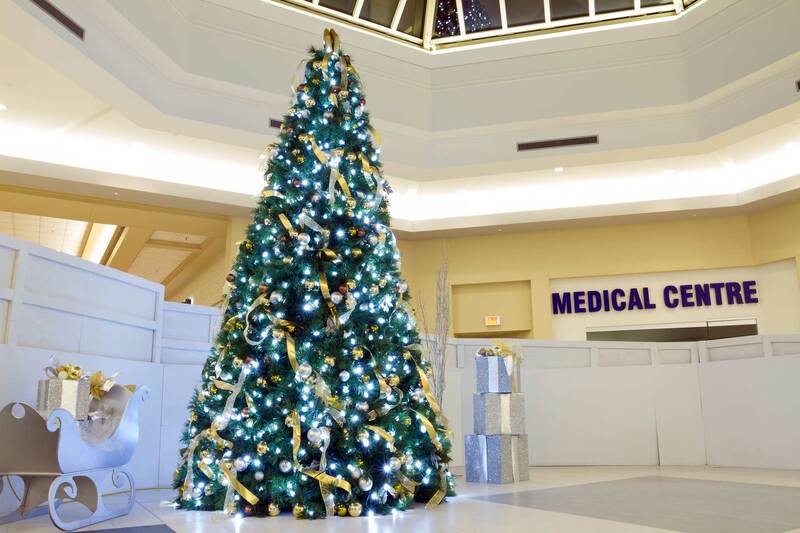 Trees made out of boxes of sterile gloves, gastro stop supplies and even IV bottles are show stoppers, but you better be prepared for the grief you are going to receive for using precious hospital supplies in that manner. Some hospitals have stopped decorating for the holidays because of increasing sensitivity to exactly which holiday is being celebrated. If you decorate for Christmas you may be criticized for not recognizing Hanukkah or Kwanza and you may be criticized by atheists or agnostics. You may even be accused of creating a fire hazard if you use paper decorations and we have already discussed the budget risks of using hospital supplies. 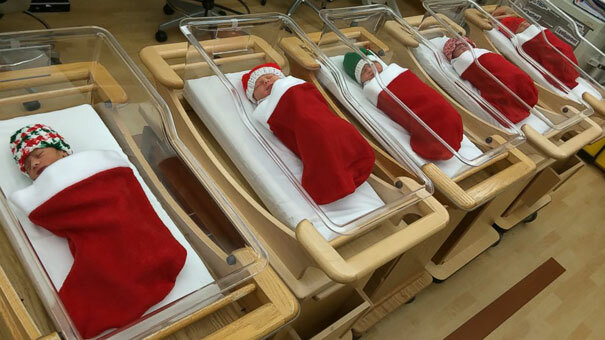 A hospital needs the holiday spirit for staff as well as the patients. Everyone needs a good laugh and some light-hearted fun. However, before you decide to cheer up the halls, check with administration and abide by hospital policies. That way you can be joyous without undue criticism from the resident grinch.